TALLAWAH Magazine: The Best of Jamaican Culture: UP RISING: Is Akeem Mignott the next big thing in Jamaican theatre? 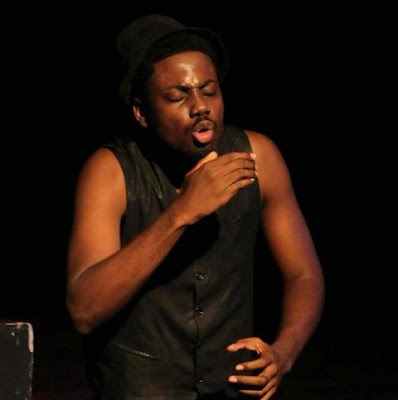 UP RISING: Is Akeem Mignott the next big thing in Jamaican theatre? ACTING OUT: "I want to maintain that kind of quality." With the growing respect of his industry colleagues and a pair of Thespy nominations to his credit, Akeem Mignott has emerged as local theatre’s youngest fast-rising talent. By all accounts, he has all the requisite talking points (ambition, immense talent and drive) to make it as the next big thing. “To be honest, I get the opportunity to perform to the best of my ability and the guidance of the older members who I am working with,” he says of performing in such smash hits as Single Entry, the recently mounted Eight by Ten, and last summer’s Fifty 2 Rahtid. As for the veterans he admires, he singles out the likes of Deon Silvera (“She has an effervescent stage presence”) and Oliver Samuels (“I’ve always wanted to work with him and hopefully I’ll get the opportunity”).